The Cueto Cup continues, and we see Mil Muertes and Catrina, with the sultry latter telling him to bring the Cueto Cup to her. After the pair kissed, we see Jeremiah suddenly emerge; as we know, he has a past with Catrina. On to the temple, where Veneno is in the ring, and he is Mil Muertes’ first opponent in the Cueto Cup tournament, with the first round in its third day. As expected, the former Lucha Underground Champion made quick work of Veneno, and of course, Catrina delivered her trademark Lick of Death. Next up, Paul London, the leader of the Rabbit Club, made his entrance, and his opponent is none other than Vibora, one of Kobra Moon’s evil henchmen, and the evil queen accompanies him to the ring. First singles match for both combatants in Lucha Underground; and we see London holding Kobra Moon at, well, carrotpoint. This prompted a “Save the Carrot” chant from the crowd; yes, you heard that right. The rest of the Rabbit Club randomly made their presence felt, going in and out of the ring, and the distraction was enough for London (a former WWE Tag Team and Cruiserweight Champion) to gain some momentum. The Club kept Vibora from entering the ring, allowing Paul London to win via countout and advance! I have to consider this an upset, because I thought for sure that all three Trios Champions (and more notably, all three of Kobra Moon’s minions) would advance. The queen is not pleased. Back to action, and we see two of my faves in Lucha Underground face each other: the sultry and lethal Taya, and the sleazy and entertaining Joey Ryan. Taya, not surprisingly, smacks the lollipop from Joey’s possession and got down to business. Of course, Joey wasn’t playing around either, as he delivered a devastating superkick to Taya. The back and forth match ended with Taya emerging victorious, and she moves one step closer to a Lucha Underground Championship opportunity, which could come against Johnny Mundo! We see Mil Muertes, dressed to the nines in a snazzy suit, but he is later taken out by Jeremiah Crane, who actually used two chairs! During the assault, Jeremiah uttered only two words: “She’s mine!” The plot thickens. Back to the temple, and we see Killshot and Jeremiah Crane set to face each other. This is the first appearance for both combatants in this home stretch of Season 3, and these two didn’t waste any time going after each other. It wasn’t long until the fight went outside the ring, with each competitor throwing his body at the other. At one point, Jeremiah literally parted the crowd, so he could deliver some violence to Killshot in the seating arena, which came in the form of Jeremiah running around the ring and delivering a cannonball to his opponent. The match was finally brought back to the ring, and it was so evenly fought, with the crowd enjoying every second and actually chanting “Fight forever!” Even Killshot’s double knees to Jeremiah weren’t enough to take down his opponent, and just as he was set to possibly win, he was interrupted by his longtime foe and former brother-in-arms Dante Fox, who stated that their feud is not over. The distraction allowed Jeremiah to capitalize and defeat Killshot. However, Jeremiah would find himself staring eye to eye with Catrina, seemingly in admiration. We see Dario Cueto in his office boasting about his tournament, and he’s in there with Son of Havoc, who is wondering who his opponent is. It was stated that Son of Havoc will face Son of Madness in the first round of the Cueto Cup. 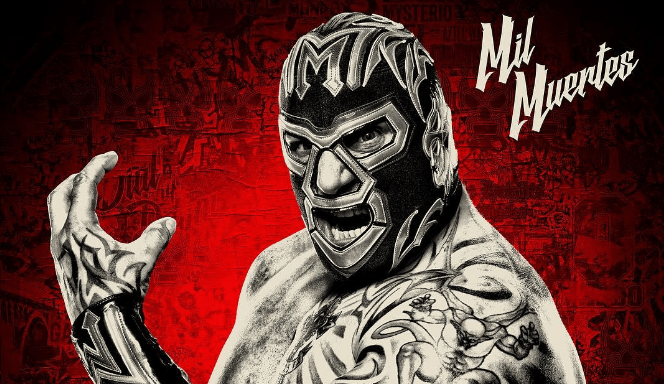 That’s the Lucha Lowdown, and the first round concludes next week! Until then!